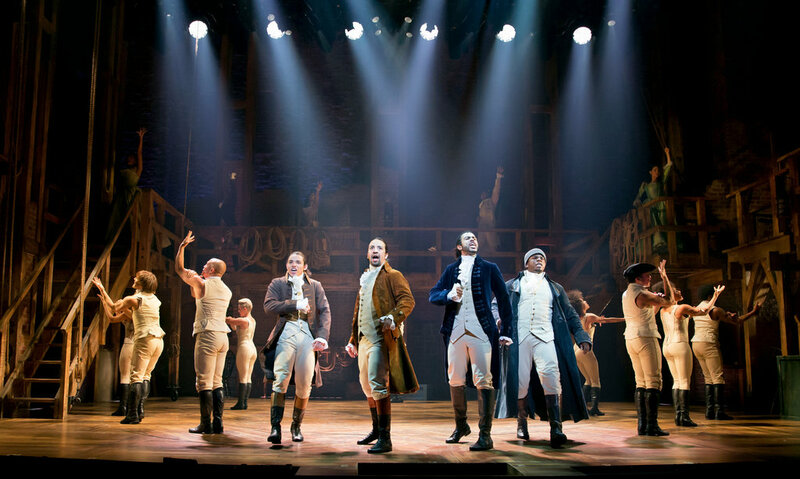 I recently saw the 2016 Tony winner for best musical, “Hamilton.” It might be the most brilliant musical play I have ever seen – and I have seen a lot of theater. I rank it with the top shows I have attended in the past 50 years, shows like Les Miserable, West Side Story, A Chorus Line – shows that brought something unique and different to the theater world. Each of these shows innovations influenced the world of musical theater. “Hamilton,” from my perspective, is in this category of an innovative show. So much for the review, if you can get a ticket, see it. But “Hamilton” is much more than a great piece of entertainment. Its structure, from the way the story is told to the casting of the characters, to the mingling of various musical styles – creates great teaching moments on multiple levels. The story, if you are one of the few folks who have not at least read something about the show, is about the life of Alexander Hamilton, one of America’s founding fathers. Hamilton was an orphan, an immigrant, and an abrasive, brilliant man. He served as General George Washington’s chief aide for much of the Revolutionary War. He was a key proponent of the new constitution, publishing most of the 85 articles of the Federalist Papers. He then served as the first secretary of the treasury under President Washington, creating a financial system that placed the newly formed United States on solid path. His death was tragic, as he was killed in a duel with Aaron Burr over his political opposition to Burr. In his unique telling of the narrative of Hamilton’s life, Lin Manuel Miranda treats the history of the founding of our country with great reverence and respect. Unlike most representations of this history, however, Miranda’s story telling method brings to light aspects of the history, and our current nation’s makeup that are often overlooked or buried. Too often our history is portrayed in a way that only recognizes a certain group of white, influential figures. “Hamilton” adds a deeper perspective to our history. How? Well there are two obvious ways. First, his music is a conglomeration of musical styles: hip hop, rock, jazz and classical Broadway – which includes ballads and blues. He uses hip hop to highlight revolutionary activities – not just in the war but to emphasize how the republic was formed and operated. The flow of musical styles from number to number is sometimes stark yet seamless. This style acts as a metaphor for the diversity that makes up our country, which can be eye opening yet essential to the way our country is structured and operates. One of the most classical Broadway style numbers is sung by King George, thus representing the “Old World” as opposed to America’s new ways of doing things. During some of his musical numbers Miranda tips his hat to prior musicals with lyrical connections to other musicals, such as “1776” and “Pirates of Penzance.” These references, just like the varying musical styles are (I believe) meant to show how our country is the sum total of such diverse sources, and that all of these sources are a necessary component of who we really are. The second teaching tool is the casting. Three key characters in this story are slave owning Virginians, George Washington, Thomas Jefferson, and James Madison – 3 of our first 4 presidents. All of them are played by African Americans. Indeed, the casting of this show breaks all the remnants of the old school approach to only cast people of the ethnicity of the original historical figure. The casting mixture of different races and ethnicities hammers home the lesson that our country was founded for everyone, not just an elite group of wealthy white men. Even more, the show makes sure we understand that it was more than the well known founding fathers who contributed to the strength of our country from its very beginning. For example, during a scene that depicts a cabinet debate over Hamilton’s proposed financial plan, Jefferson states (in a rap style) that Virginia is wealthy, successful and plants seeds, so why should Virginians take on the debt of other states like New York. Hamilton replies (also in rap style) that we know who was actually planting the seeds for Virginians (slaves) and that they were profitable because of slavery. The message is clear. Not only is slavery wrong (highlighted numerous times in the show), but black slaves were the unseen, unacknowledged resource that provided the platform for the Virginians’ (and other southern states) claimed success. A history of our country that fails to acknowledge the presence and importance of ignored groups (e.g. black slaves, women, who although did not vote contributed to the well being of the new country, immigrants) perpetuates a narrative that allows for the dismissal of so much of the makeup of our country. The United States is NOT just a culture derived from Anglo and white Europeans. It is a conglomeration, from its very beginning, of those English/Europeans, Hispanic, Black, Sephardic Jews as well as probably the most dismissed group – native Americans. Finally, in trying to describe the makeup of “Hamilton,” the mishmash of musical styles, the mixed ethnicity of the casting, the lack of spoken narrative – the impression is one of a completely disorganized show that cannot possibly make any sense. Yet, when you see the show, this polyglot of people and styles is the perfect metaphor for America at its finest. Somehow all of this comes together to form a work of beauty. That is our country – a polyglot of people cultures and styles that despite differences and disagreements, can be a place of amazing beauty. That is what we need to celebrate on July 4.